The 2.5 patches come to the Mac App Store! We’re offering first playtests of the Neverwinter Nights: Enhanced Edition on Android at Edmonton Expo! 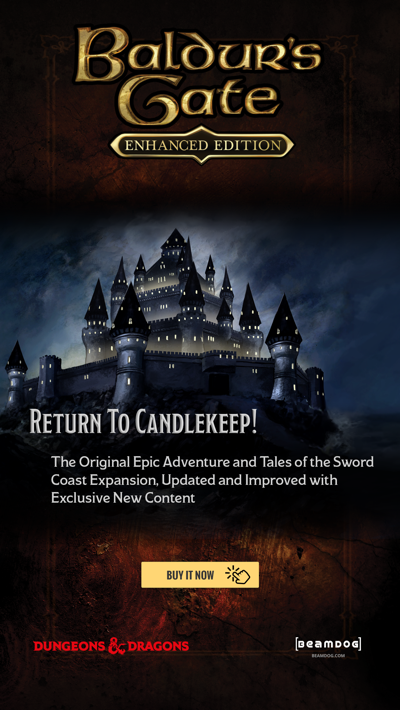 Try the game on tablet, then fill out a short survey for a chance to win a Siege of Dragonspear: Collector’s Edition! Head to the Expo on Saturday to catch a glimpse of the elusive Minsc and Boo! Trent will be in full cosplay, wandering the floor and hanging out at the Beamdog booth between 11am - 3pm - Come say hi and get a photo! Folks on the expo floor can grab some major discounts on Beamdog Steam Keys, and the Siege of Dragonspear: Collector’s Edition. 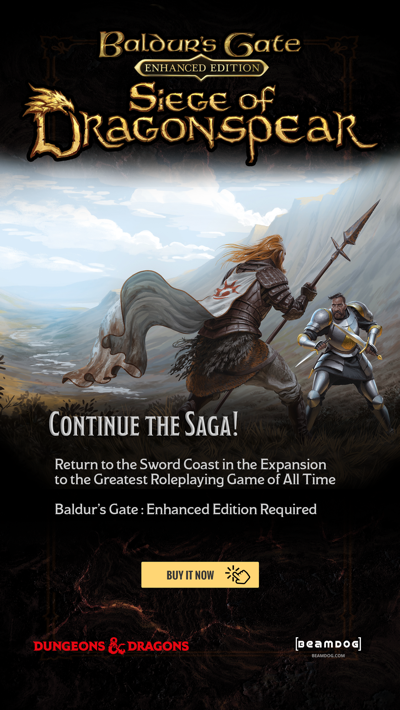 Catch these deals - only at the Beamdog booth! Sign up to our newsletter at the booth for a d20 chance to win a Neverwinter Nights: Enhanced Edition T-Shirt! Take the playtest survey for an extra roll! We love meeting folks in the community, so we hope you’ll stop by and say hello to the fantastic Beamdog Team! Catch you this weekend at the Edmonton Expo! - Grab your tickets here!